Word Wheel Study Set resembles the Wheel of Fortune game show in which it awards points to the student who guesses the correct alphabets. If there is an image available in the Study Set, it will appear as a background hint. To start the challenge, spin the wheel before selecting the first alphabet. If the correct alphabet is guessed, the chosen alphabet will be in green. For each wrong guess, the alphabet will be in red. The student will need to re-spin the wheel before the next guess of alphabets can be made. 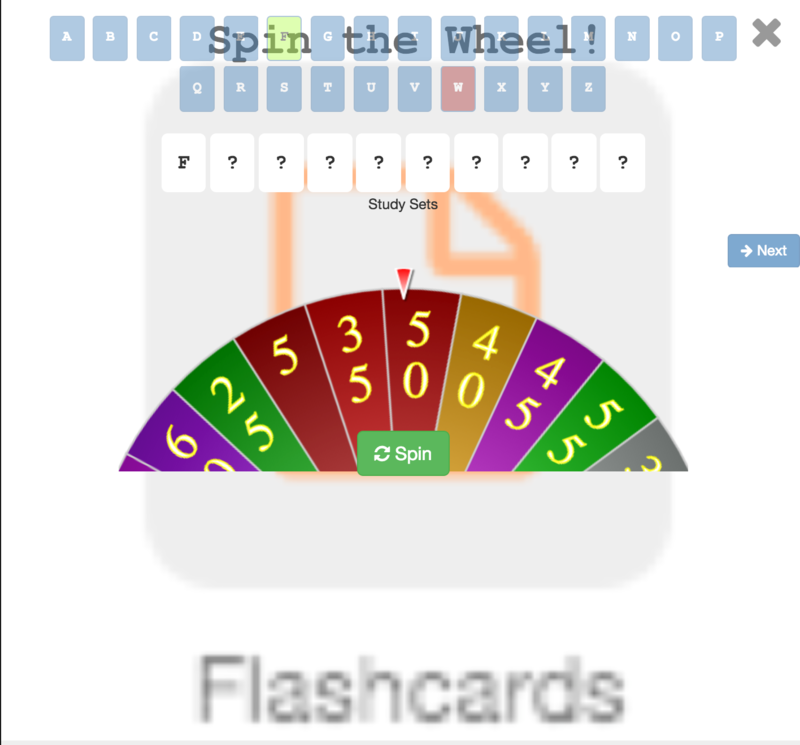 More points will be given when the number of spin increases but the student will spend more time to complete before proceeding to the next challenge. In each of the Word Wheel challenge, a maximum of five rounds of words will be generated. The maximum character for each word is twenty-five characters and must only consist of alphabets.